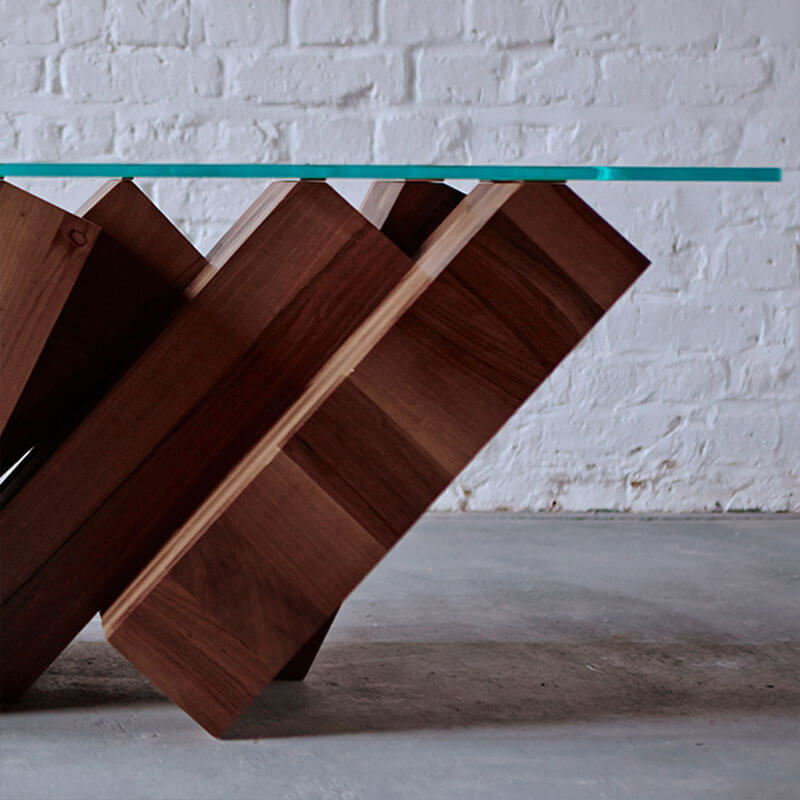 Solid Walnut from Forest Stewardship Council managed forests and other controlled sources, brass, toughened glass. Available in Solid Walnut. Also available in Steel and a colour finish of your choice. 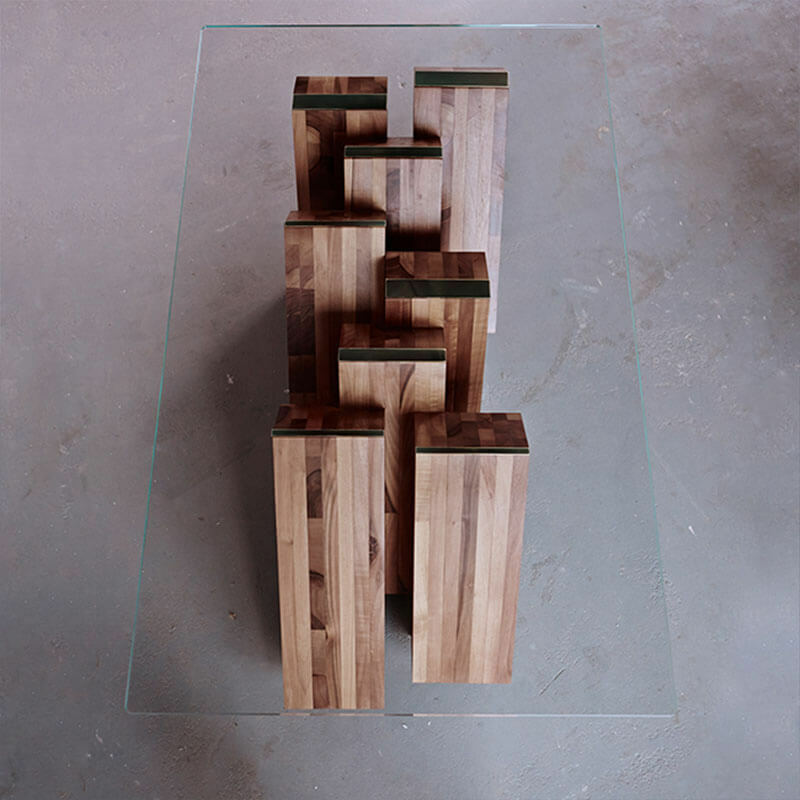 The Megalith Coffee Table is limited to 25 editions.